The LIFE 7700UC is the most advanced ionizer in its class! Front sliding door for easy filter access! This ionizer boasts 7 flat or MESH electrodes and an SMPS power supply (adjusts up to 309 watts) to provide you with the largest amount of antioxidants at optimal pH drinking levels. 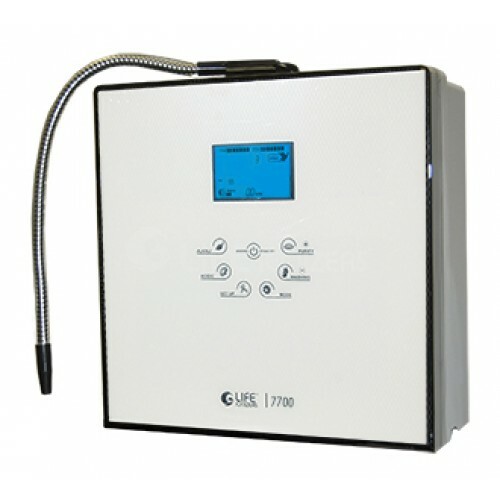 The LIFE 7700UC is the most advanced ionizer in its class! 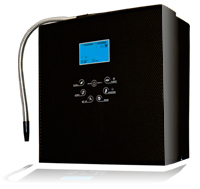 This ionizer has a front sliding door for easy filter access and boasts 7 flat or MESH electrodes and an SMPS power supply (adjusts up to 309 watts) to provide you with the largest amount of antioxidants at optimal pH drinking levels. Optional UV Light Technology (patent pending) and Energy Frequency Technology (patent pending). It also contains LIFE Ionizer®’s advanced filtration with dual internal filters and optional custom pre-filtration. LIFEtime warranty on all parts and Ten (10) years warranty on labor and Peace of Mind 60 Day Money Back Guarantee. 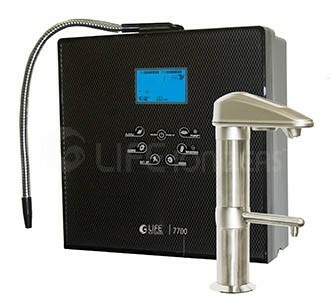 Most new LIFE Ionizer interior water filter including the LIFE 7700UC uses an all natural dechlorinating medium that neutralizes chlorine & most chloramines from your drinking water. With the LIFE Ionizer Vitamin C filter you get the best of both worlds. Perfect chlorine removal PLUS any benefits that may stem from being exposed to one of Earth's most powerful antioxidants - Vitamin C! It's not only about what we take out of your water, but how we do it that separates the LIFE Ionizer filter from traditional filters. 309 Watts of adjustable power!